Woot! Another easy deal. 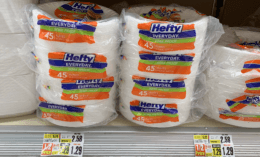 Through 6/2, ShopRite has Pick 3, Pay $1.77 each. (must buy in increments of 3, limit 4 offers. 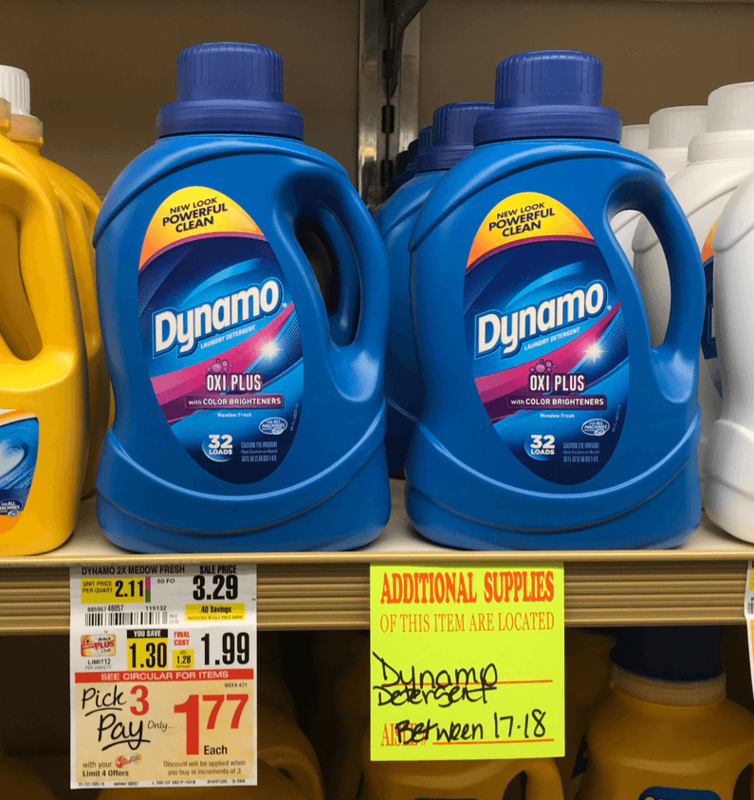 This offer includes Dynamo 20-ct. Toss Ins Dynamo Liquid 50-oz. btl., Fab Ultra 2X Detergent, 50-60 oz. Liquid btl., Final Touch Fabric Softener-64 oz. We have this $3/3 Dynamo, 14.1-oz. pkg., 20-ct. Toss Ins, Liquid 50-oz. btl., Fab Ultra 2X Detergent, 50-60 oz. 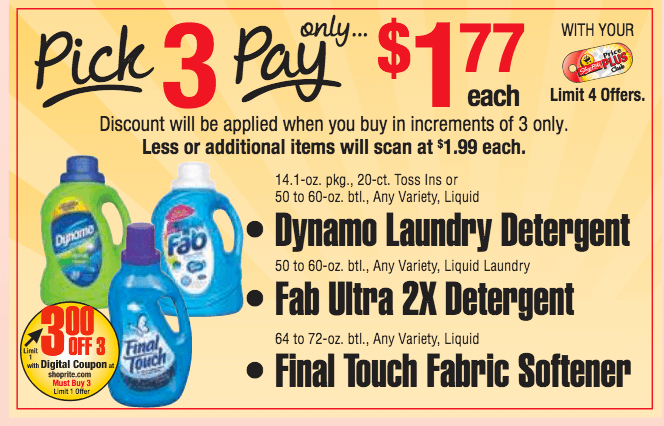 Liquid btl., Final Touch Fabric Softener-Mix and Match, ShopRite eCoupon available to clip, making this just $0.77 each when you buy 3.